At the Georgia Organics conference last week we had a great time re-connecting with old friends and meeting new ones. 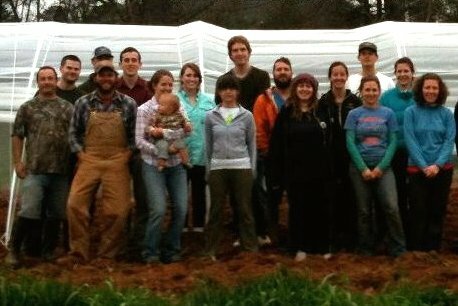 With Georgia on our minds this week, we want to spotlight the Athens Area Farmers Network organized by Kate Munden-Dixon. The farmers decided what they wanted from a network right off the bat: well-focused educational meetings. Nothing too complicated or touchy-feely, just a time to learn and share ways to make their farms more efficient, sustainable, and profitable. High tunnel construction, harnessing volunteer labor, pest management -- these are just some of the topics they've covered so far. And for anyone interested in forming their own network, Kate shares some pearls of wisdom about how to make sure it starts off on the right foot. Get the full scoop on the Athens Area Farmers Network.